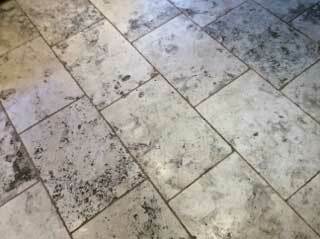 You know the drill when it comes to cleaning stone floors: it’s starting to look dirty, it’s losing the shine. The different stone cleaners you’ve tried don’t work as promised. This is a common problem that homeowners with stone floors are facing. It can be hard work to keep your stone floor looking like new. One of the most important tips to help you keep your floor looking like new is to educate yourself about looking after your stone floor. If you are having a new floor installed, or if you have an existing floor, you need to identify the kind of stone you have. Now you can go online, contact stone retailers and get a clear understanding of the stone. Here are some simple characteristics of popular stone and tile products that you may not be aware of. Travertine: honeycomb structure, new holes can appear at any time. Tumbled travertine: unfilled holes will fill with dirt. Victorian clay tiles: original tiles were never shiny. Once you know the kind of stone you have, you can then find out how to look after it. Before you start cleaning your floors, make sure you have the correct cleaner. Different stones need different cleaning products. A cleaner that will work well on a slate floor could damage a marble floor. If you need a stronger cleaner for stubborn or ingrained dirt, then chose the right cleaning product for the stone. Also, make sure to rinse the floor with clean water after using a strong cleaner. As a general rule of thumb, only use neutral ph cleaners on stone floors. 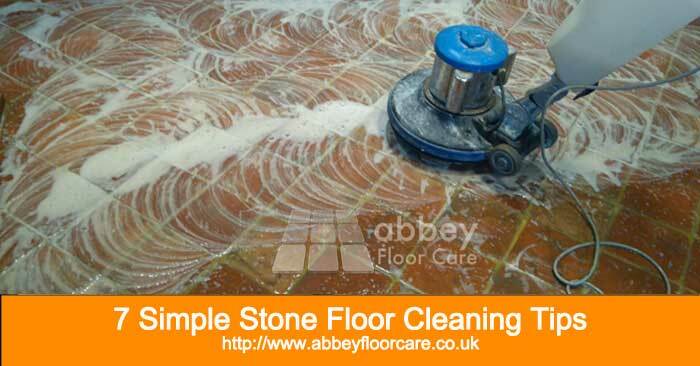 With this information, you will be able to clean your stone floor without causing damage. Over 80% of the soil in a home is dry soil, containing dust, dander, grit etc. Dirt will damage your stone and the sealer. And polished floors, in particular, suffer from scratching. The best way to prevent damage from dry soil is by dry sweeping your floor at least once per day. If you have pets and or small children, then you may need to dry mop two or three times a day. With modern microfiber mops, there is no need to use a mop and bucket on your stone floors. Old style cotton mops are unhygienic and inefficient. They leave most of the soil on the surface of the floor. They are one of the main causes of dirty grout lines. Microfiber mops work in a different way to cotton mops. They pick the damp soil off the stone and trap it in the fibres. Dirty mop heads are machine washed, rather than squeezed, so they are much more hygienic. Microfiber mops are available online, in most supermarkets and DIY outlets. Sand and grit will damage any stone. Use rugs and mats at every entrance to trap most of the sand and stop the grit from getting into your floor. “Do we need to seal our stone?” is one of the most common questions we get. Our answer is that sealing will benefit all stone and tile, including porcelain. Many products can soak into or stick to the surface of stone. Such as; grout, dyes, food ingredients, grout, epoxy resins, oil and even water. Modern stone sealers can be groupe into three broad types. Penetrating sealers lock into the surface of the stone to anchor the sealer to the surface of the stone. Many can be build-up on the surface, to give a finish like a surface sealer. These sealers tend to last longer than surface sealers. Also, they use cleaners that clean and and top-up the sealer, to help it last longer. These sealers penetrate deep into the stone. The impregnating molecules bond to the capillary pores of the stone to repel water and oils from within the material. With this kind of sealer, the stone acts as the wear layer, so they are the longest lasting. Some impregnating sealers have ingredients that will enhance the colours in the stone. Again, it is a case of knowing your stone and your sealers, when it comes to stone sealers. If you have a polished stone or porcelain, you will need an impregnating sealer. If you have a matt stone, then you can choose a finish to suit your home. Over time a polished finish will dull, the sealer will wear, grout will start to get dirty and soil will start to become ingrained. 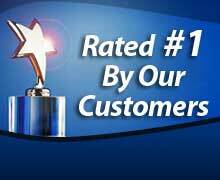 This is when most people call on the services of a stone restoration company. In many ways, a stone floor is like a car, regular servicing will keep it in tip top condition and it will last longer. People service their car to the manufacturer’s schedule. But they never think of servicing their stone floors. A polished marble floor does not need to be completely dull before it is re-polished. A floor sealer need not be completely worn away before being re-sealed. Your floor will last longer and you will save money if you schedule a yearly visit with a local stone floor restoration company. Your restoration expert will give you advice looking after your stone. They can also keep you up-to-date with the latest money-saving developments. If you would like helpful advice about your stone floor contact us. we are more than happy to help.